Is it normal and what should you do? Bleeding gums when brushing or flossing your teeth is not healthy! Lots of people complain about bleeding gums, and so it may seem normal…but at no point should you be content with finding that your gums are bleeding! If your gums are bleeding you need to do something about it and you should not ignore it. In many cases the condition of bleeding gums can be dealt with at home, without the need to see a dentist. It is a process of elimination in trying to work out what it is that is causing your gums to bleed and taking action to treat it. The following is a list of known factors that cause bleeding gums. The following are a list of common approaches and techniques for treating bleeding gums. They mostly focus on improving cleaning to remove the bacteria that cause gum disease, but others are more specific and may not be relevant to you. The cause for one person may well be different to another. In some instances, a multitude of causes may well be contributing to the bleeding. Sadly, there is no one quick fix that applies to us all when it comes to bleeding gums. It can be a process of elimination of working out possible causes, applying certain treatments and seeing if the bleeding stops. Having seen the list of causes above, you may already be aware or know why your gums are bleeding in the way they are. If you are not sure why, let me explain in more detail what the most common causes are and what you can do to try and stop the bleeding. Please note. If you are suffering from consistent or heavy bleeding contact your dentist for their advice. If you are suffering from small amounts of bleeding which does not improve or stop after a couple of weeks of trying common treatments, you should consult your dentist. In ideal circumstances your gums should be a nice healthy looking light pink colour – with a slightly dimpled appearance (similar to orange peel). If you take a close up look at your gums, they should wrap around the top of your tooth in roughly a ‘C’ shape, with a small triangle of gum between each of your teeth. Gingivitis is cause by bacterial infection in the gingival sulcus. Where your gum meets the tooth it creates a small pocket between the top of the gum, the top of the bone holding the tooth in place, and the tooth itself. This pocket is called the gingival sulcus and gingivitis is caused when food particles get caught here. Plaque is a sticky substance on the teeth that contains bacteria. Plaque builds up over the course of the day. Whilst some bacteria in plaque are harmless, but some are harmful to your gum health, and this is why not removing plaque causes gingivitis (gum disease). Over time, if the teeth and gums are not properly cleaned, the plaque is not removed. The plaque builds up and the bacteria in it produce acids which irritates your gums. This can lead to redness with bleeding, swelling and tenderness. Plaque induced gingivitis is the most common cause of bleeding gums according to Medline Plus and many dental professionals. The NHS say that most adults have gum disease to some degree, with most experiencing it at least once. In many cases, gum disease is treatable and can be easily managed. Failing to remove plaque will also result in the plaque hardening into something referred to as tartar or calculus. Calculus is more sticky than your teeth and more plaque will stick to this tartar/calculus than your teeth. This will lead to even more bleeding. 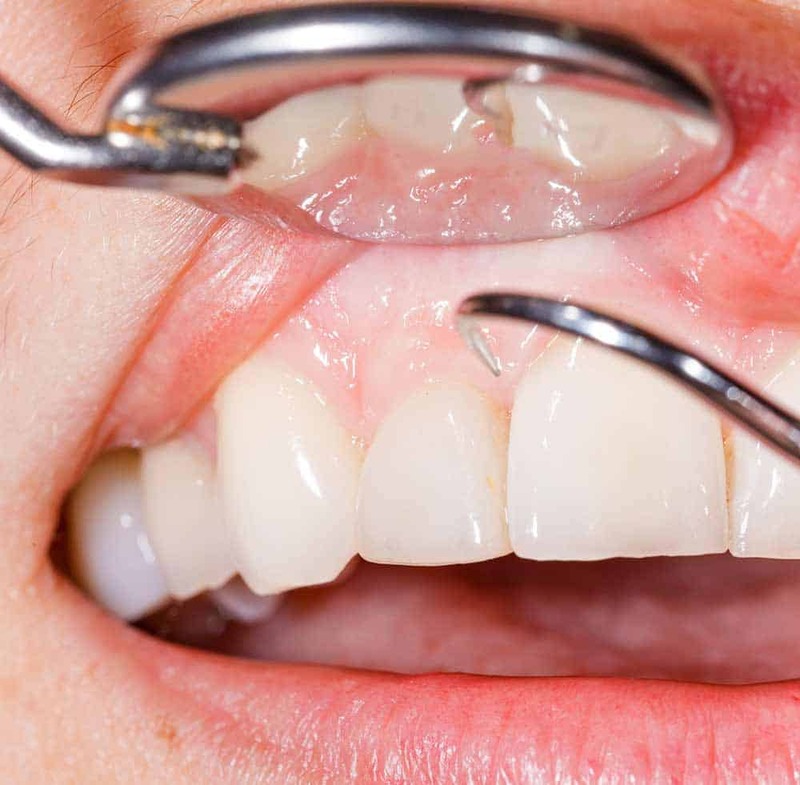 Long term, if the gingivitis is not treated it will most likely progress into periodontitis. Thankfully in most cases, gingivitis is completely reversible. At this early stage of gum disease the process to treat the condition is relatively simple, cheap and straightforward. In order to treat gingivitis (early gum disease) and to stop gums bleeding, you need to remove the plaque and bacteria that are irritating the gums. This is done by improving your cleaning at home. It has been widely reported that many people do not brush for the right amount of time or frequently enough. You don’t want to be associated with these statistics. You need to ensure your are brushing twice a day for 2 minutes each time. When brushing, use a soft bristled toothbrush with the correct technique. You should also be cleaning between your teeth (flossing or using interdental brushes) as least once a day too. If you have bleeding gums and you want to improve your cleaning, an easy way to do so is to start using and electric toothbrush. An electric toothbrush has many benefits, as it can be more effective at cleaning and remove more plaque, speeding up your recovery. Using the wrong type of toothbrush, or not using your toothbrush properly can cause your gums to bleed. Correct technique will remove the bacteria causing gingivitis. But if not done correctly, you can traumatise your gums when brushing. You may not know but the bristles on your toothbrush are rated based on how ‘stiff’ they are. You may have noticed on packaging for a toothbrush that it may state ‘Soft’, ‘Medium’, or ‘Firm’. This is all to do with the bristles. The stiffer or firmer the bristles are does not mean it will clean better. When you brush your teeth you really want and soft of medium rated brush head, unless advised otherwise by your dental professional. This will mean that as they pass over and under the gumline they are less likely to cut in or aggravate the gum and trigger bleeding. If it is not clear as to how stiff the bristles are on your toothbrush, most leading brands will tend to opt for a medium to soft bristle. Whether using a manual or electric toothbrush you can specifically purchase soft bristled heads. Some brands will refer to these super soft bristled heads as ‘sensitive’. It is not well advertised or all that easy to check, but the majority of premium brands normally actually round off the top of each bristle. This is not noticeable to the human eye, but under a microscope, you would see that they have a rounded tip. When bristles are cut to length they can be left with sharp and abrasive ends, which can damage the teeth and gums if not rounded off. Very cheap toothbrushes or lesser known brands may well skip this process to keep costs down. Nylon bristles are most common and generally considered the standard, but as technology and techniques advance, we have seen the introduction of silicone and rubber bristled toothbrushes. Opinion is divided on these amongst professionals but studies have shown them to be as effective and many consider them to be softer on the teeth and gums. With the right toothbrush and brush head you can be assured that you are on the path to reducing the bleeding, but linked to the toothbrush itself is your approach to brushing. Are you holding the brush head at 45 degrees to the gumline? Are you brushing twice a day for 2 minutes? If the answer is no either of these two questions, you might want to address this. The following articles may well be of interest to you. Done correctly, the floss will actually get under the gumline and into the spaces the toothbrush does not to remove the plaque buildup. Try following these steps when you floss next. Step 2: Wrap the ends around your two pointer fingers, and stretch it between them, so it is fairly taught, leaving about 6 inches between the two fingers. Follow this routine regularly and you should see and feel the benefits. 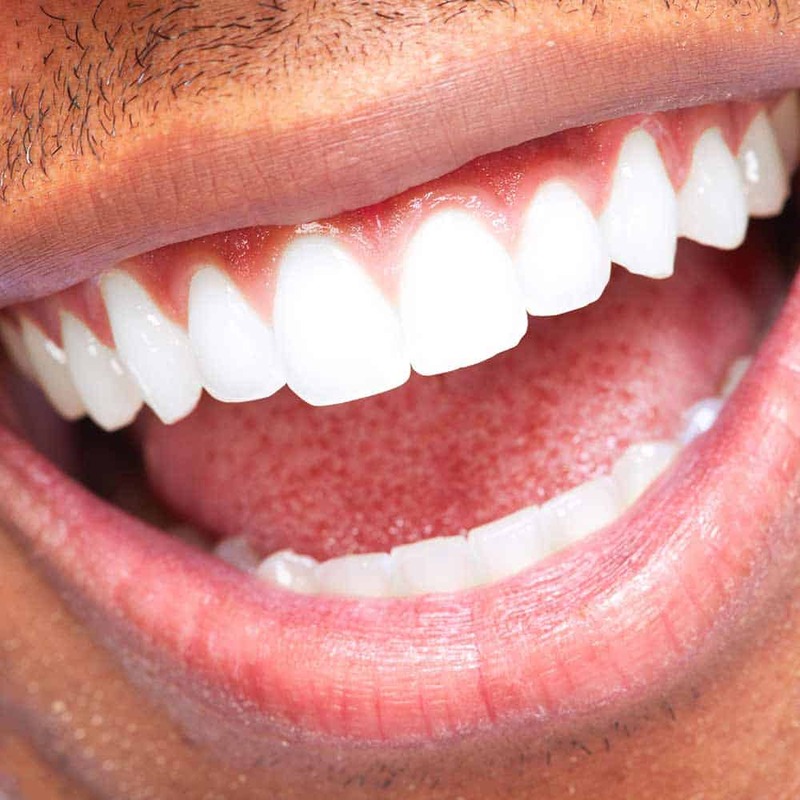 Your gums are made up of different layers of membranes and tissues so that whilst they may appear relatively firm they are a soft tissue that is susceptible to damage. If you apply a lot of pressure to your teeth and gums when brushing, you are brushing too hard. The bristles of a toothbrush need only skim the surface of the teeth to sweep away plaque, debris and bacteria. By applying the extra force you are applying unnecessary pressure to the delicate tissue of the gumline which can become damaged or suffer trauma and bleed as a result. Using a toothbrush with a built in pressure sensor can be useful as it will alert you when brushing too hard. This bleeding will likely also occur if you are brushing your teeth frequently. It is perfectly possible to brush your teeth too much. If you are using the proper technique you need only brush twice a day for 2 minutes at each time. Relieve the pressure and decrease the frequency of brushing if this applies to you and your gums should naturally recover and bleeding should subside. Trauma to your gums can also be a cause when some sort of appliance is placed in your mouth, for example dentures that don’t fit properly or braces. Your dentist will likely advise if some bleeding is to be expected at any point, but if you are not anticipating a bit of bleeding then you may wish to speak to your dentist for assistance. 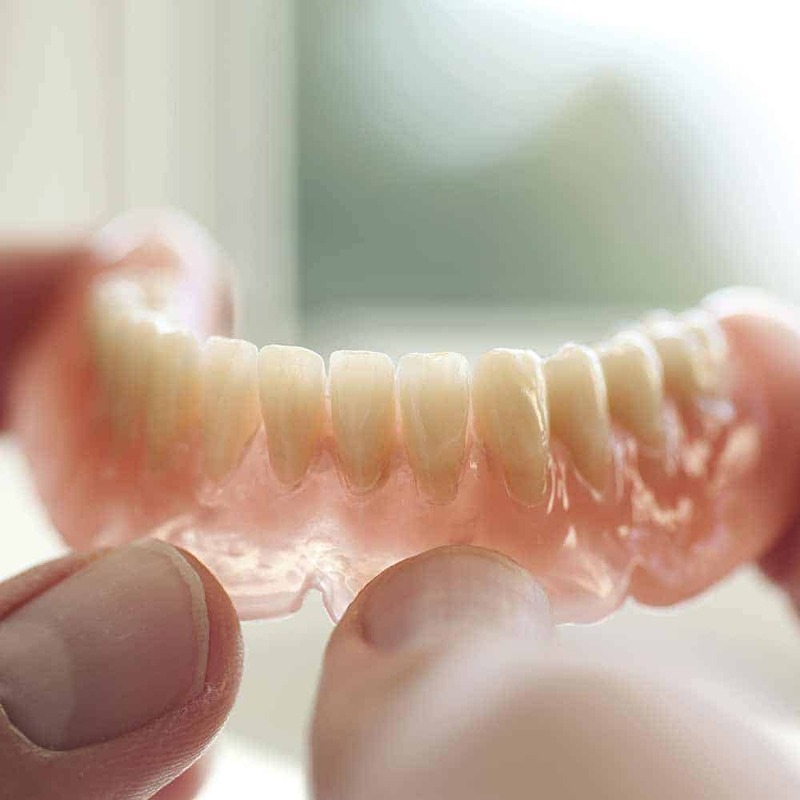 Dentures should fit snugly to the gums, but as the jawbone and gums change over time the fitting can become loose. Whilst adhesives can help, the best course of action is to have a proper assessment from your dentist, who can then advise whether new dentures are required or alternative approaches to stop the aggravation and bleeding that occurs. When it comes to braces depending on what type of braces you have may impact where the bleeding is coming from and the exact cause. It is possible that one of the fittings has a sharp edge or something has come loose or is not fitting correctly and causing the bleeding to take place. Fixed braces can also cause bleeding on the inside of the cheeks. Braces also increase your risk of gingivitis. This is because the larger surface area they offer to plaque to attach to. It it is important to ensure you brush and floss regularly and thoroughly to avoid the chance of any excess plaque build up, and to reduce your risk of gum disease. In most instances the bleeding is not as a result of anything you are doing, so you should consult your dentist sooner in this instance. Some medications can negatively affect your gums. If you have a medical condition that requires you to be on certain types of medication, one of the side effects can be bleeding gums. This does not mean that just because you are on a particular drug that you will suffer with bleeding gums, but it is possible, and a known side effect. 2 main types of medications affect the bleeding and clotting. These medications mean you are more likely to bleed, and that includes from your gums! These medications are called anticoagulants and antiplatelets. Anticoagulants thin the blood and reduce the clotting ability of blood. Commonly prescribed blood thinners include warfarin, heparin and enoxaparin. Antiplatelets such as aspirin, ticlopidine and clopidogrel prevent blood platelets from sticking together to form blood clots. However, it is worth speaking to your doctor or dentist about the medication prescribed and considering whether there are alternatives available if you do suffer from bleeding. Always get professional advice if you have concerns and do not take it upon yourself to stop or change your medication. Immunosuppressants, such as cyclosporine A.
Calcium channel blockers, such as nifedipine, verapamil, diltiazem. If you are taking any of these medications it is especially important that you keep your gums as clean as possible to reduce and chance of your gums bleeding. Bleeding gums are common amongst those who are pregnant. This is because female hormones affect blood flow. Increased blood flow to the gum tissue causes them to be more prone to bleeding. This condition is known as Pregnancy Gingivitis. In addition to the increased blood flow, the changing hormones within the body mean the body is hindered in dealing with plaque like it normally would. This means that the plaque which may not have caused a problem before pregnancy, now causes irritation in your gums. This is somewhat to be expected and is common, although close attention does still need to be paid to it. Responsive action can and should be taken by you. The steps to take are much the same as the most common cause of bleeding gums, brush twice a day for 2 minutes and clean between the teeth with floss or interdental brushes once a day too. Smoking, or more specifically giving up smoking is another common cause of bleeding gums. Smoking reduces the blood flow to your gums. This means that even if you have gum disease, the gums may not bleed. When you give up smoking the blood vessels to your gums grow back. This is good because now your own body can fight infection in your gums. As the blood vessels grow back your gums may start to bleed. The gums are bleeding because your body is trying to get rid of the plaque which normally causes gingivitis and bleeding gums. Try not to be alarmed. Focus on cleaning better, following the advice as above for gingivitis. The bleeding will normally reduce after a few weeks. If the bleeding does not improve a few weeks after giving up smoking get yourself booked in to see your dentist. If you are suffering from heavy bleeding or your gums are bleeding consistently you should seek assistance from a dental professional as soon as possible. It is quite likely that there is a simple treatment, but you should get a professional opinion on the matter. If you have any concerns, get booked in with your dentist. It is important irrespective of bleeding gums to have regular checkups with your dental professional to maintain good oral health. If at any point you have concerns about your mouth or the bleeding you are suffering with does not improve, even if you are taking clear steps to improve your gum health, speak to a dentist for a professional assessment and opinion. If your gums are bleeding the good news is with a little investment from yourself and maybe a bit of cash spent on the right tools, you can mange and reverse the condition of bleeding gums. You need to ensure you are brushing twice a day for 2 minutes. Make sure you clean interdentally once a day too. Ensure you are brushing with the correct technique and invest in an electric toothbrush and interdental brushes to help you improve your cleaning regime. Assess your overall health, could you improve your diet? Can you drink more water? Reduce any stress you may have? Taking such steps can further contribute to reducing and stopping bleeding gums. If it does, continue to keep up the routine, slacking might just cause the bleeding to begin again. This is not the answer for all. For some bleeding gums may be a regular occurrence due to medication or disease whilst for others it may be a sign of more serious dental health issues. Should you have regular light bleeding that does not stop within a few weeks of improving your cleaning, speak to your dentist. If you have heavy or continual bleeding, speak to a dental professional. A dental professional can make an assessment and they are qualified to advise on possible courses of action. Bleeding gums are never healthy or normal. You should always consider the cause of your bleeding gums and get them checked out whilst taking steps to resolve the bleeding if possible. For the vast majority, investing in a good oral healthcare routine is all that is needed. With a little practice you can perfect your technique and enjoy a healthy, pain and blood free mouth.